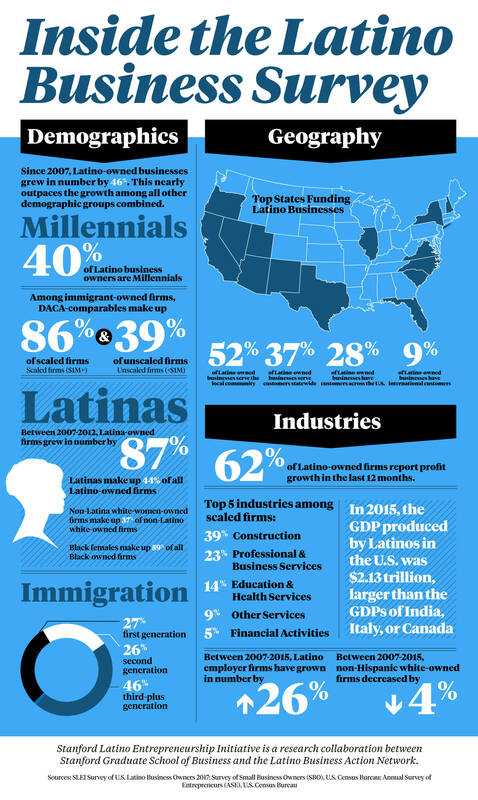 Latino-owned small businesses are on the rise. So much so that, according to the U.S. Hispanic Chamber of Commerce, they’ve grown 31.6 percent since 2012, which is more than double the growth rate of all businesses in America. However, the amount of funding Latino small businesses receive is substantially less than other demographics. The Stanford Latino Entrepreneurship Initiative claims that the biggest challenge Latino-owned small businesses face is access to funding – When starting out, around 70 percent of the business start-up cash comes from personal savings. Only 6 percent of that comes from commercial loans. Currently, the 4.4 million Latino-owned small businesses in the U.S. contribute more than $700 billion per year. If those businesses can continue to grow and find funding, they’ll be able to contribute billions more. According to Biz2Credit, the annual average revenue of Latino-owned businesses jumped 26.5 percent between 2017 and 2018 – a statistic that outpaces just about every other ethnic group. This is without a decent amount of funding coming in from outside sources. In addition, women in particular are the cause of this Latino small business uptick. From 2007 to 2015, around 44 percent of all new Latino businesses have been started by women. All of this information put together represents the most rapidly growing (and most profitable) small business community of the United States. It’s no secret that Latino-owned small businesses have trouble securing outside funding sources. According to the Stanford Latino Entrepreneurship Initiative, only half of the 1.3 million Latino-owned businesses surveyed had secured outside funding. That doesn’t have to continue to be the norm. The Minority Business Development Agency helps Latino-owned small businesses secure loans, find strategic partners and compete for larger contracts. Their specialization is helping minority-owned firms expand into new markets. SCORE is a government association partially funded by the Small Business Administration. This resource offers tutorials in Spanish to help Hispanic business owners learn regulations, grow their business and find/apply for small business loans. They also offer small business online workshops in both Spanish and English as well as a business mentor system to help small businesses by pairing them with larger, more successful ones. This microfinance organization works to support Hispanic and other minority-owned businesses by providing loans up to $1 million. They also give low-income business owners free resources such as financial education material. The USHCC promotes the growth and development of over 4.37 million Hispanic-owned businesses nationwide. 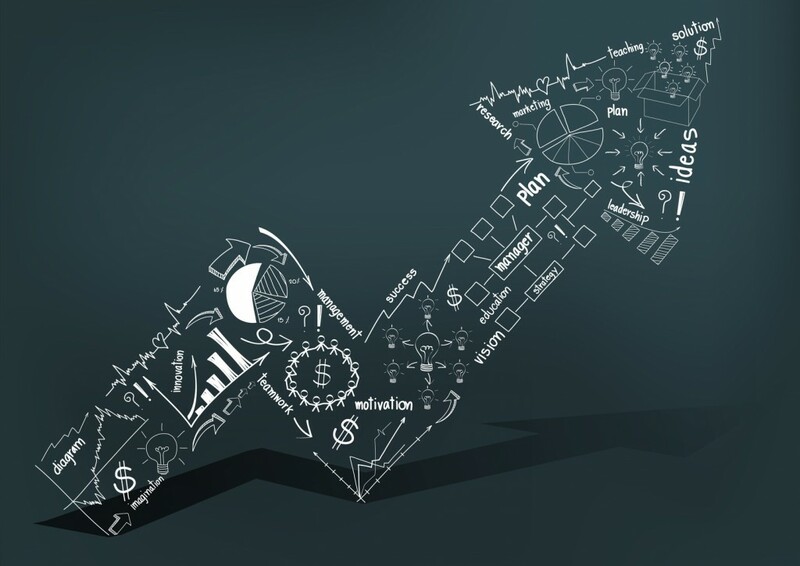 Local chambers assist up-and-coming small businesses with securing loans and funds, navigating the business environment and emerging into new markets. Invoice factoring allows small businesses to gain access to capital without having to take on debt. As long as the business has unpaid B2B invoices, they can receive funding via invoice factoring. Factoring can help many Latino-owned small businesses purchase equipment, hire more staff, expand into a new space or pay for other business expenses that would be a strain for them regularly. Applying for invoice factoring is as easy as giving Factor Finders a call or filling out an online form. All you need to get started is unpaid invoices and once approved, funds can be in your account in as fast as 24 hours. Have questions? Check out our FAQ. Don’t see your question listed on there? Just give us a call. We have factoring specialists on the line waiting to speak with you.